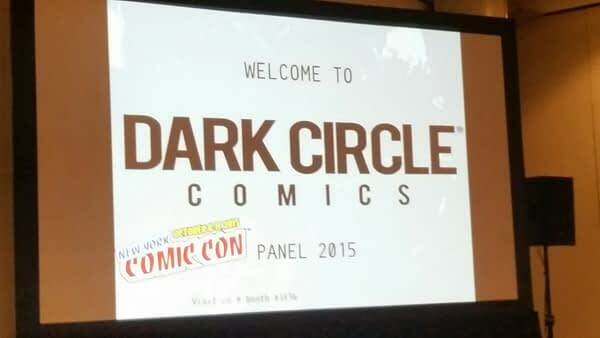 The Dark Circle panel took place Thursday afternoon at the New York Comic Con. 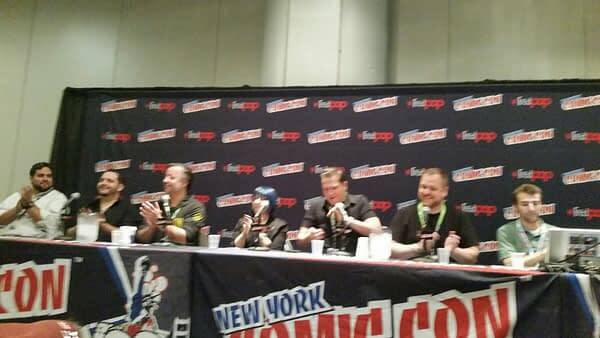 The panel was moderated by Alex Segura (editor of Dark Circle Comics) and included Duane Swierczynski (writer of Black Hood), Frank Tieri (writer of Hangman), Dean Haspiel (artist for The Fox), Mike Pellerito (president of Archie Comics) and colorist Kelly Fitzpatrick.. It was announced that “The Hangman” would finally be coming out November 4th. Frank Tieri was really excited for people to read the book. He talked about how he was given the reigns to make the book as crazy as possible. 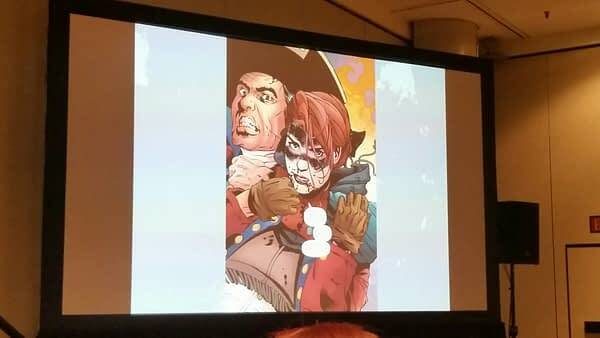 A scene in which a man is covered in jelly and fed to rats was mentioned throughout the panel. 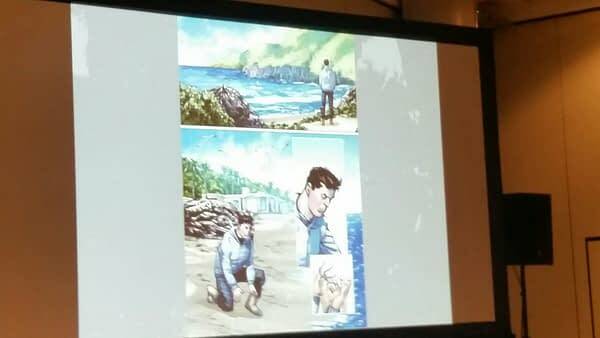 As crazy as that sounds, colorist Kelly Fitzpatrick said that issue #2 has a scene that beats that. The way he described the relaunch, gave it a real Spawn vibe. The book follows a real low life, Mike Minetta who has a run-in with The Hangman and then takes on the role of the new Hangman. “The best way to describe the book is that it’s a cross between a Stephen King book and Quentin Tarantino movie.” Frank Tieri explained to the crowd. The various variant covers were shown. Featuring covers by Felix Ruiz, Francesco Francavilla, and Robert Hack. 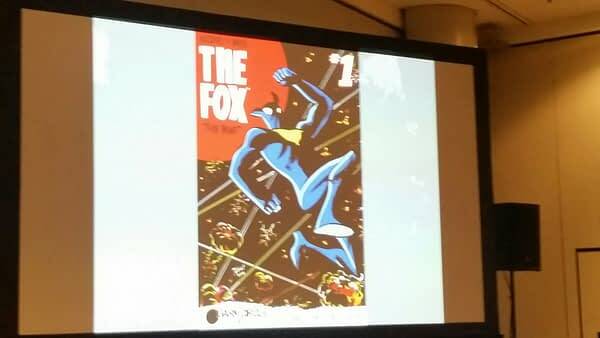 Dean Haspiel took a chance to thank the fans for supporting The Fox. He said his run on the book was the longest run he’s had on one character. The family dynamic that was a theme in the book was something he really liked. At the end he talked about a pitch he has to come back to the book at some point. 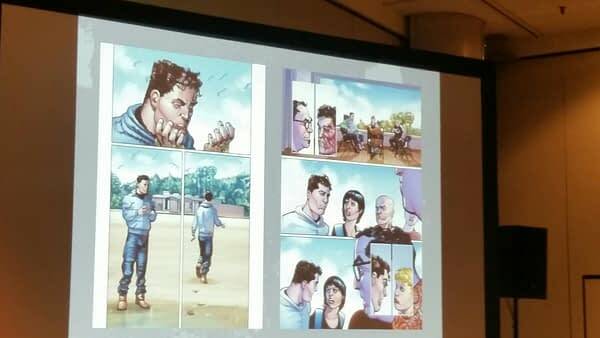 Dean did not go too much in detail but said it was very dark and compared to the Dark Knight Returns. If given the chance he would call it The Dark Fox. Not only did editor Alex Segura assure everyone that the book was coming out, he had copies to show and give away. He went on to talk about how excited they were for the book and a little bit about the characters history. The Shield shows up when she’s needed. In this new relaunch she shows up but does not know why. The book was said to have a real Homeland vibe to it and would deal with conspiracy theories. 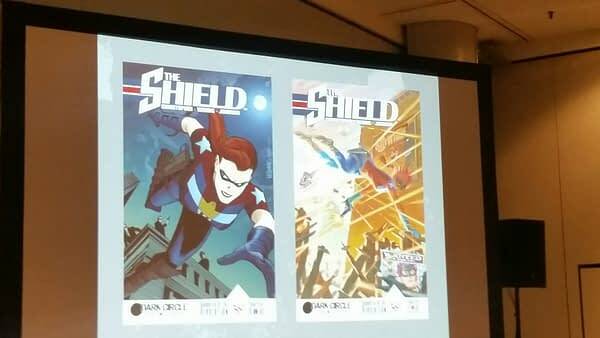 Issue #1 of the Shield will be hitting shelves on Oct, 21st. 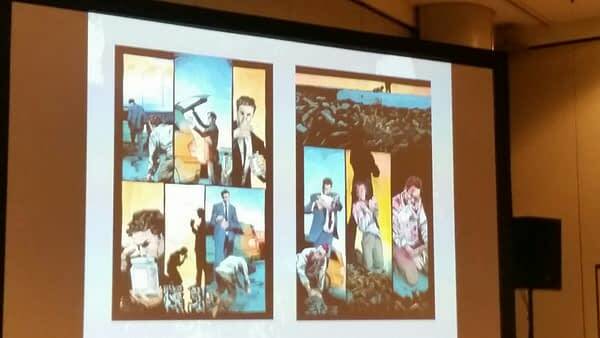 Variant covers were shown off by Wilfredo Torres, Andrew Robinson, Rafael Alburqerque and Robert Hack. 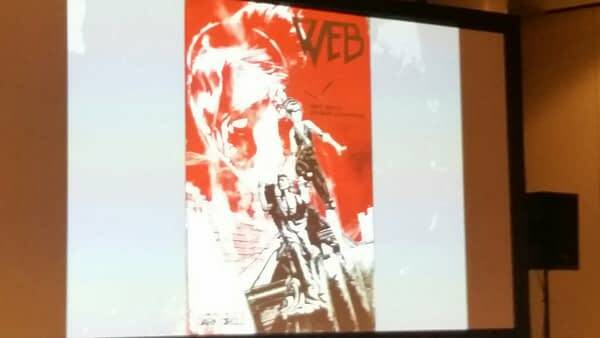 The next new book coming from Dark Circle would be The Web. The story will follow Jane Raymond, a teenage girl who finds out what happens when you become the hero that you cosplay. 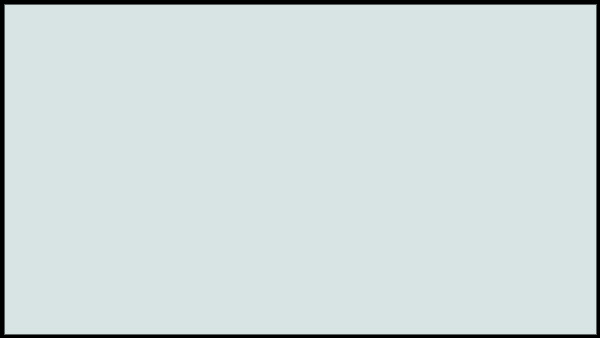 The series will be written by bestselling novelist Dave White and art by Szymon Kudranski. The only release date given was early 2016.